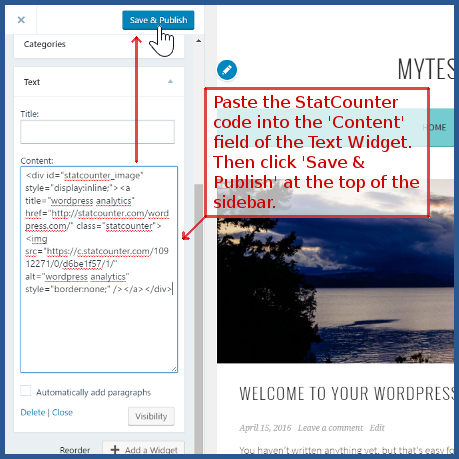 Home » Statistical Software , Statistics » Follow our step by step guides for installing StatCounter on your favourite platforms: WordPress.com (hosted by wordpress) Install Guide. Follow our step by step guides for installing StatCounter on your favourite platforms: WordPress.com (hosted by wordpress) Install Guide. 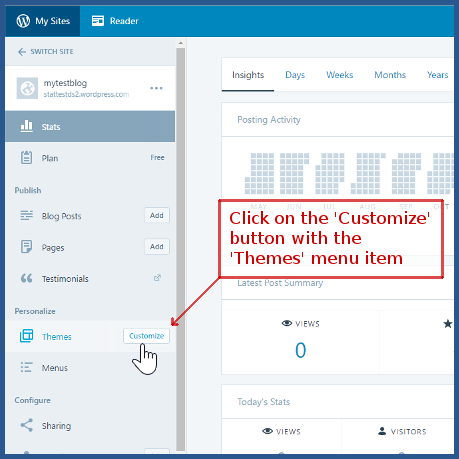 StatCounter provides free customisable hit counters, visitor tracking, web analytics and website statsfor WordPress.com (hosted by wordpress). 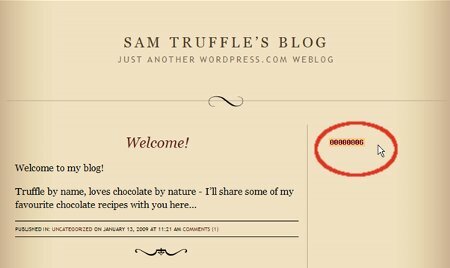 Log into wordpress.com (opens in a new window). Click "My Sites" in the top navigation bar. 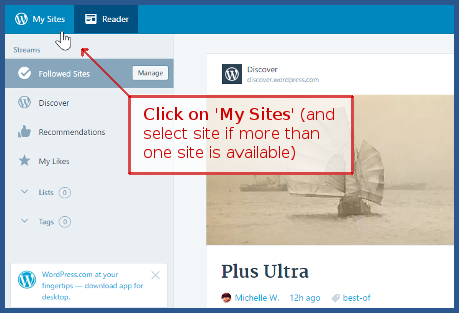 If you have more than one Blog you may have to select which one you wish to edit. 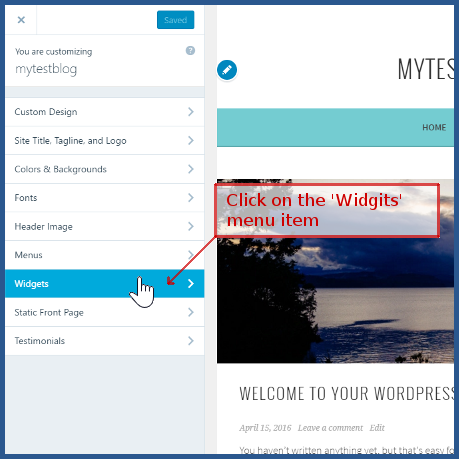 Click on the "Widgets" menu item. 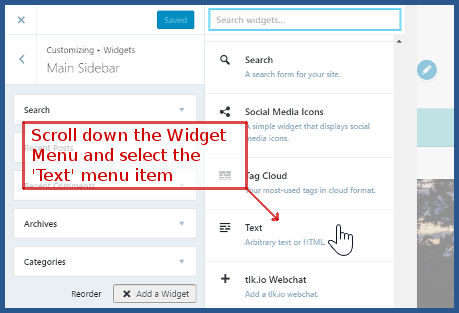 The menu then changes to give you an option as to where to put the widget - we suggest you click the "Main Sidebar". 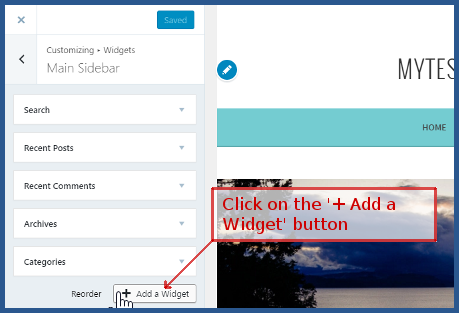 When the Main Sidebar menu appears click on the '+ Add a widget' at the bottom of that menu. A Widget Menu appears to the right of the Main Sidebar. Scroll to near the bottom if this menu and select the 'Text' option. Paste the StatCounter code into the 'Content' field of the Text Widget. Then click on 'Save & Publish' near the top of the sidebar menu, and that's it! Sign Up for a free StatCounter account using our WordPress.com (hosted by wordpress) installation guide. You can reinstall WordPress.com (hosted by wordpress) on your StatCounter project.